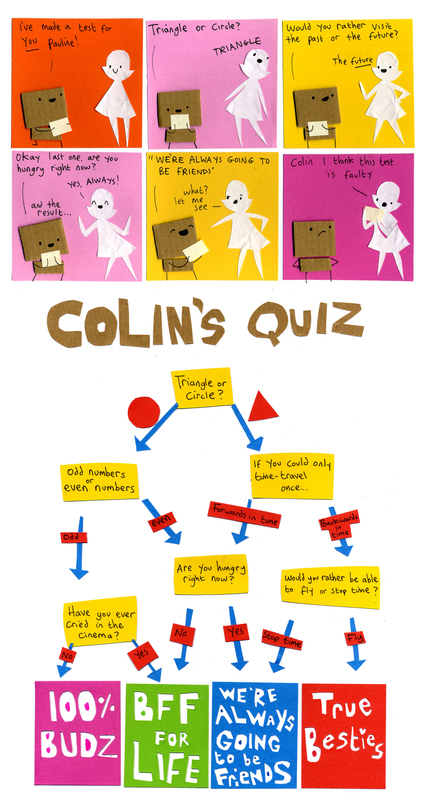 I wish I had thought of making this sort of a quiz for my pals, but I’ll settle for sharing the comic with them. Wow, it’s lucky the results are always the same because those questions are really hard to answer. Aww Colin I’ll be your friend!